DescriptionThe exhibition features portraits of Albanian Muslim rescuers and their descendants by American photographer Norman H. Gershman. When asked why they had rescued Jews, their resounding response was “Besa,” a code of honour linked to an Albanian folk principle of taking responsibility for others in their time of need. 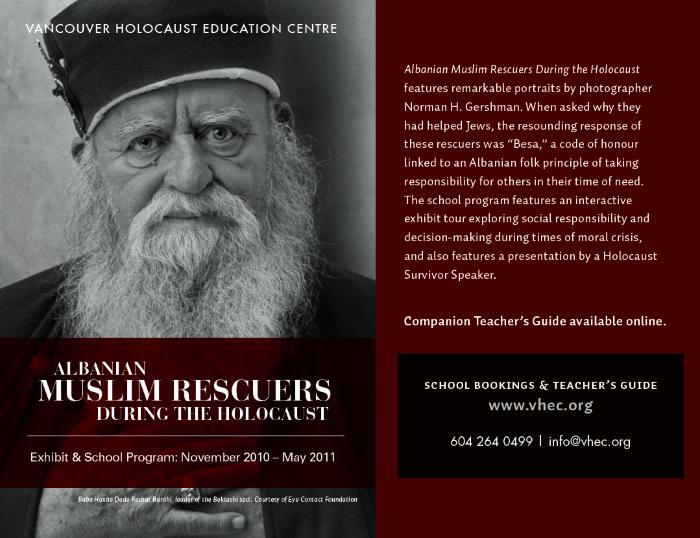 The stories of the Albanian rescuers featured in this exhibition offer insights into the actions of the few who had the courage to resist the Nazis.